If you want to play movie or video through your Apple devices like iPhone, iPad, iPod Touch, WonderFox DVD Video Converter could be your helper. WonderFox DVD Video Converter could perfect help you convert 100+ different video formats to be suitable your Apple devices. Since the first time in 2010, iPad was released by Apple it had been become the most popular tablet. Its much bigger screen (than Smartphone) makes it owns a better experience when enjoy videos. By using WonderFox DVD Video Converter, any of your video can be compatible with your lovely iPad. Just follow the steps below to convert your video to iPad. Apple devices are famous with its music effect. 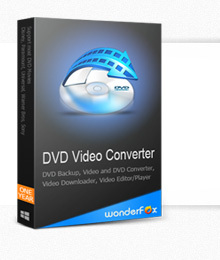 By using WonderFox DVD Video Converter, you can extract audio from video and convert to Apple devices compatible format. If you have Apple devices, you really need WonderFox DVD Video Converter.